In 2014, China became the world’s third country to realize shale gas commercial development, following the United States and Canada. So far, there has been a lack of comprehensive discussion on risk perception related to shale gas in China. 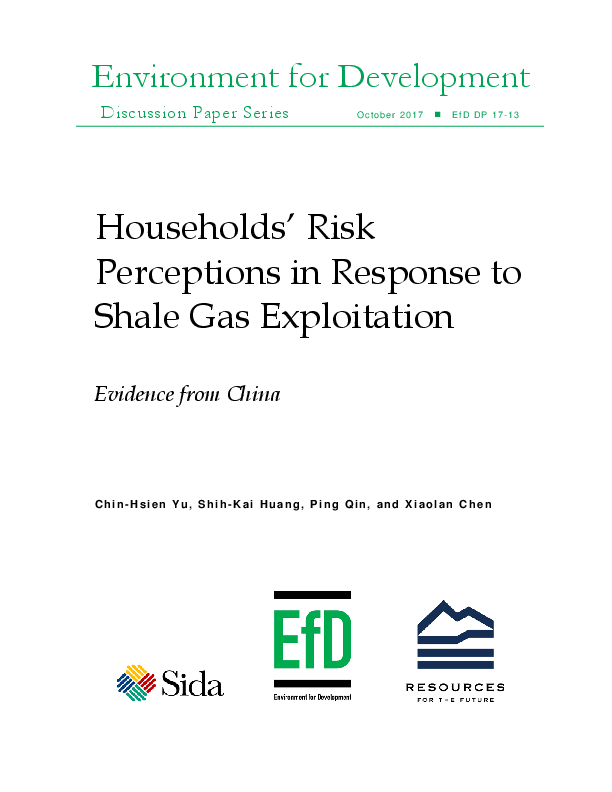 This paper aims to understand Chinese residents’ risk perceptions toward shale gas exploitation. A survey was conducted with 730 interviewed participants in two counties of Sichuan province (Weiyuan County and Gong County). This study shows that, in China, an elderly female tends to perceive lower risks, and a higher education level is commonly associated with lower risk perception. Besides the socio-demographic characteristics, two major findings are also explored in this study. First, household’s perceived benefits from shale gas exploitation do not statistically significantly affect their risk concerns. Second, the respondents’ environmental consciousness, including their anticipation of environmental impacts and their perceptions about environmental degradation, plays a crucial role in their perception of the risks of shale gas exploitation. This implies that local residents’ judgments on the severity of environmental impacts significantly contribute to their risk perceptions. These findings therefore contribute to local authorities’ policy making in protecting local residents from the risks of shale gas exploitation and in better communicating about risk with the residents.